Boycott was born in the Yorkshire mining village of Fitzwilliam in 1940. An outstanding school boy cricketer, he graduated quickly through club cricket for Ackworth, Barnsley and Leeds, to join the Yorkshire team at the age of twenty-one. Geoff Boycott began an illustrious Test career only two years later in the first Test of the summer against Australia. He went on to score 8,114 runs in an 18 year Test career spanning 108 Test matches. His Test career included 22 centuries (an England record that he holds jointly with Wally Hammond and Colin Cowdrey). In 1977 he scored 191 against Australia in the fourth Test at Leeds, becoming the first cricketer to score his one hundredth first class century in a Test match. Boycott was always a controversial figure and spent three years from 1974-77 in self-imposed exile from the England team. He claimed he had simply lost his appetite for Test cricket. Geoff Boycott was appointed vice-captain for the ensuing tour of Pakistan and New Zealand that winter, and took over as captain in 1978. 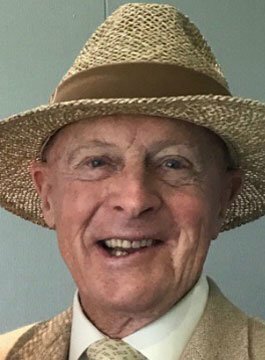 As a commentator, Geoff Boycott is renowned for his ‘pull-no-punches’ style in contrast to most of his fellow commentators. In particular he is known for criticizing players. Once, after witnessing a dropped catch, he said “I reckon my mum could have caught that in her pinny“, and in 2005 he mocked the Australian captain Ricky Ponting for electing to bowl first on a flat track, saying he was “a nice man for being so generous to the England team”. His opinions, as ever, are strong and sometimes controversial. Simply put, Geoffrey commentates with absolute honesty, refusing to pull any punches and telling it exactly as he sees it. If he offends people then so be it. Geoffrey also possesses one of the sharpest analytical brains in the business and has a superb turn of phrase.